The Thoroughbred horse breed was established in England in the early 1600s by crossing Arabian stallions that were imported into England with indigenous light mares (Binns, 2012; Thiruvenkadan, 2008). The founder population was small, with all current English and American Thoroughbred males tracing their lines back to at least one of three stallions, the Byerly Turk, the Darley Arabian, and the Godolphin Arabian (Binns, 2012). The Byerly Turk reached England in 1689, followed by the Darley Arabian around 1705, and then the Godolphin Arabian around 1729 (Thiruvenkadan, 2008). In comparison, about seventy founding mares have been identified (Binns, 2012). Every horse in the Thoroughbred pedigree can be traced back to at least one of these seventy foundation mares (called the Royal Mares) and also to at least one of three stallions: Matchem, grandson of the Godolphin Arabian; Herod, great-great-grandson of the Byrely Turk; and Eclipse, great-great-grandson of the Darley Arabian (Thiruvenkadan, 2008). 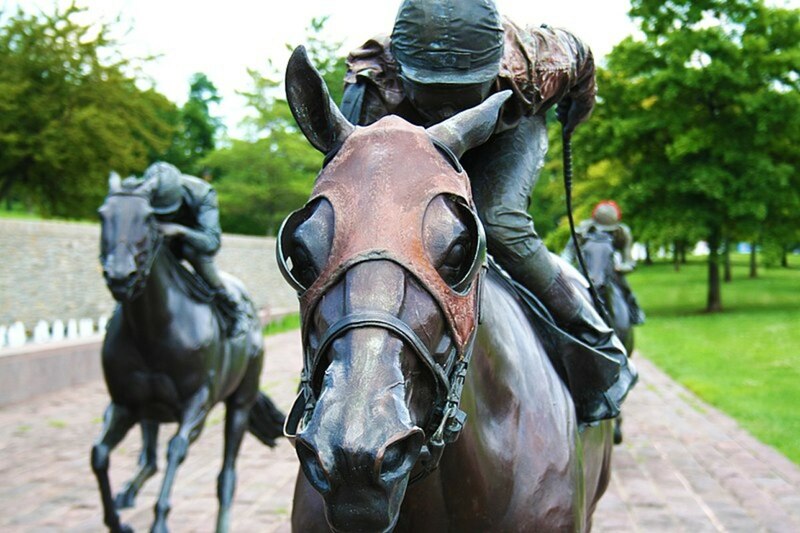 According to a study by Cunningham (2001), 95% of all male Thoroughbred lines trace back to Eclipse. The first recording of Thoroughbreds in England was made in 1791 as a General Stud Book, with the first volume emerging in 1793 and undergoing revisions in 1803, 1808, 1827, 1858 and 1891 (Thiruvenkadan, 2008). The stud book now contains about 500,000 horses, and is sustained by Thoroughbred registries around the world (Binns, 2012). The Thoroughbred breed may hold the oldest recorded pedigree for any domestic animal population, and are some of the most valuable animals in the world (Bailey, 1998). The Thoroughbred is one of the most adaptable breeds, and has also shaped the progress of many other light horse breeds. Thoroughbreds are primarily used as racehorses, but are also used in and excel at a variety of other disciplines, such as hunter-jumping, dressage, three-day events, polo, working cattle, and more (Thiruvenkadan, 2008). Thoroughbreds were bred for speed at long distances, as racing usually consists of distances of 6 furlongs (3/4 mile) to 1.5 miles (Thiruvenkadan, 2008). Today’s Thoroughbreds are usually 15.1- 16.2 hands tall, and weigh anywhere from a light 900 pounds to a massive 1,200 pounds (Thiruvenkadan, 2008). Thoroughbred foals born in the Northern Hemisphere technically become a year older on January first, and those born in the Southern Hemisphere turn a year old on July 1st and August 1st; these artificial dates were created to enable the standardization of age groups for racing purposes (Thiruvenkadan, 2008). According to pedigree records, up to 30 founding stock Thoroughbred horses currently contribute to almost 80% of the pedigree to modern their modern decedents (Cunningham, 2001). In this sense, it is true that the breed essentially started out inbred. However, this estimate ignores the number of any additional mares that were introduced to the breeding population when the Thoroughbred officially became an international breed, and also does not consider the offspring of the Thoroughbred stallions from England that were crossed with non-Thoroughbred mares in the United States, Australia, and other countries during the 1800s (Bailey, 1998). 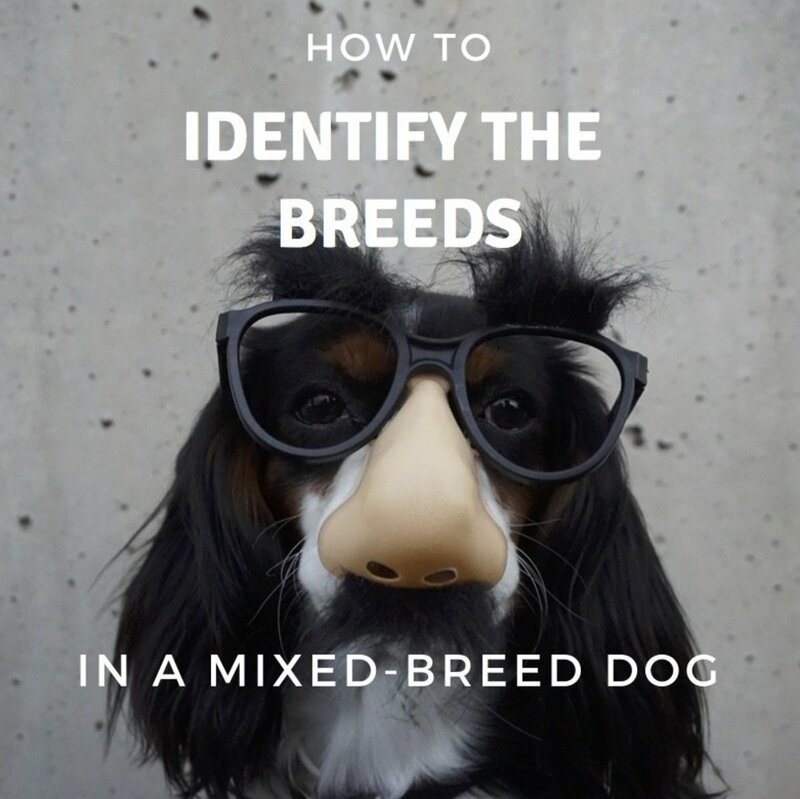 Nonetheless, the breed obviously has a very narrow genetic base, and one could safely suspect very limited genetic variation within the breed and infertility problems associated with inbreeding. The Thoroughbred breed population is currently estimated at more than 300,000 worldwide (Cunningham, 2001). Because the breeding population is effectively closed, there is rising concern about potential loss of genetic variation. A number of studies have found significant effects of inbreeding on the athletic and reproductive fitness of the breed, yet others have not (Mahon, 1982; Cunningham, 2001). Whether the breed is currently experiencing detrimental effects of inbreeding or not, there is still ongoing concern that the ever-narrowing gene pool of the Thoroughbred may be restricting genetic progress in both athletic and reproductive performance and contributing to an eventual increased frequency of heritable disease (Cunningham, 2001). Whether the breed is currently experiencing detrimental effects of inbreeding or not, there is still ongoing concern that the ever-narrowing gene pool of the Thoroughbred may be restricting genetic progress in both athletic and reproductive performance and contributing to an eventual increased frequency of heritable disease. As of 2001, 78% of the alleles in the Thoroughbred population are confirmed to be derived from 30 founding horses (27 of them being male), 10 founder females account for 72% of maternal lineages, and a single founder stallion accounts for 95% of paternal lineages (Cunningham, 2001). Based on data on protein polymorphisms descended from previous parentage analysis from the same study, the average inbreeding co-efficient based on Thoroughbred pedigrees was 12.5%, making the breed the most inbred breed to be analyzed so far (Cunningham, 2001). Thoroughbred inbreeding was found to have increased over the past 40 years, with resulting statistics of r = 0.24 and P < 0.001 establishing a substantially significant, though somewhat weak correlation between the birth year of each horse and their inbreeding coefficients (Binns, 2011). Within that same study, it was noted that the majority of the incline in inbreeding coefficients occurred after 1996, and also corresponds with the introduction of larger numbers of coverings among top stallions (Binns, 2011). In a pedigree analysis of the Thoroughbred population in Hungary, more than 94% of the 3,043 racehorses studied from 1998 to 2010 were found to be moderately to significantly inbred, with an average inbreeding coefficient for the population as a whole at 9.58% (Bokor, 2012). This study also found that from 1998 to 2008, the rate of inbreeding had increased 0.3%, forecasting a continued increase in inbreeding rates (Bokor, 2012). The effective population was above 100 for the last 30 generations, demonstrating that the genetic diversity did not decrease to a level in which long-term breeding selection was impossible, but avoidable (Bokor, 2012). DNA analysis of the Thoroughbred population in Bulgaria demonstrated negative inbreeding rates within the population, which indicated a total lack of heterozygote deficiencies within the population, yet the inbreeding index indicated that the population’s genetic differentiation was still moderate at best (Vlaeva, 2015). Results from a study of genetic diversity of the Thoroughbred population in Bosnia and Herzegovnia suggested that the current population has not been significantly affected by a loss of genetic diversity, indicating a preservation of moderately high levels of genetic variability within these populations (Rukavina, 2016). A study of racing Thoroughbreds in Ireland in 1988 indicated no significant increase in race winning times from 1952-1977, though the evidence did not suggest that this failure to improve was due to increased inbreeding coefficients or insufficient genetic variance (Gaffney, 1988). However, a study of 217 racing Thoroughbreds compared winning times and inbreeding coefficients in Japan over the past 60 years, and demonstrated inbreeding coefficients of 6.43 +/- 9.17% and a significant shortening in winning times associated with increased inbreeding coefficients (Amano, 2006). However, the same study also demonstrated, on average, a younger age at the first race, and a decline in the length of the racing career (from 3.6 years in the late 1940s to just 1.4 years as of 2006), also found to coincide with increased inbreeding coefficients (Amano, 2006). Still, a later study demonstrated that the winning times of racehorses as a whole worldwide have not improved significantly over the past 40 years, with improvements in racing times beginning to plateau as fewer numbers of stallions began covering larger numbers of mares per breeding season (Thiruvenkadan, 2009). A 2005 study of the heritability for tying-up syndrome in Thoroughbred racehorses found moderate correlations between increased inbreeding coefficients and the prevalence of tying-up syndrome in racehorses (Oki, 2005). A similar cohort study in 2008 found that the heritability of superficial digital flexor tendon (SDFT) injuries in Thoroughbreds was also moderate, and suggested that appropriate breeding practices and molecular genetic approaches could be beneficial in reducing the prevalence of SDFT injuries on the racetrack (Oki, 2008). Interestingly in 2006, a study on the effects of censored data on the heritability in the Thoroughbred racing industry found that previous estimates of genetic heritability for traits that determine longevity and conformation were biased downwardly from 10- 25% due to the censoring of poor-performing animals, suggesting that previous and potentially current estimations of genetic heritability are underestimated and are more prevalent than reported (Burns, 2006). In 1982, a study on the relationship between inbreeding and fertility in Thoroughbred mares in Ireland found that although lower fertility was associated with increased inbreeding coefficients, the effects were not statistically significant, and that the mating of close relatives was rare enough to not become an important source of genetic variation (Mahon). A study of the reproductive efficiency of 1,393 Thoroughbred mares in stud farms in the Newmarket region of the UK in 2002 noted minimal improvements in the foaling rates of mares over 15 years (from 77% in 1983 to 82.7% 1998), but asserted that the overall rate of pregnancy failure in Newmarket mares still remains high and a major detriment to the Thoroughbred breeding industry, noting the significant decrease in the number of stallions covering a significantly increased number of mares per breeding season over the last few decades (Morris). Although pregnancy rates of Thoroughbred mares have improved to the point that 94.8% of mares (1084 of 1144) were confirmed pregnant at some point in the breeding season over the past 35 years, high levels of embryonic loss also occur, such that a foaling rate of only 82.7% (946 of 1144) was seen in the same study (Binns, 2012). Comparisons between foaling rates of Thoroughbred mares with varying inbreeding levels in a later study on a global scale indicated that mare fertility rates declined by 7% for every 10% increase in inbreeding coefficients (Thiruvenkadan, 2009). 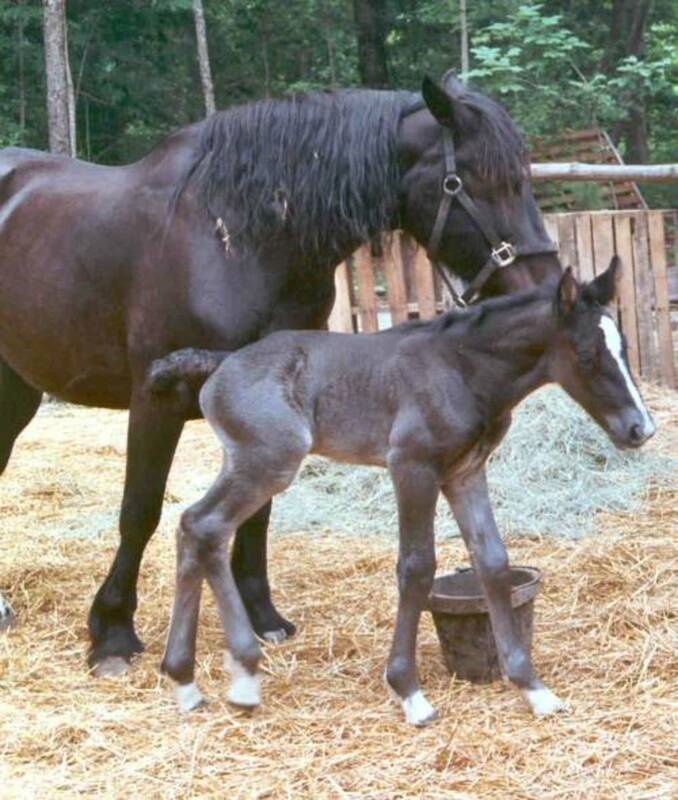 Based on data on protein polymorphisms descended from previous parentage analysis from the same study, the average inbreeding co-efficient based on Thoroughbred pedigrees was 12.5%, making the breed the most inbred breed to be analyzed so far. Increased inbreeding has been found to have undesirable effects on the overall performance of many equine breeds. 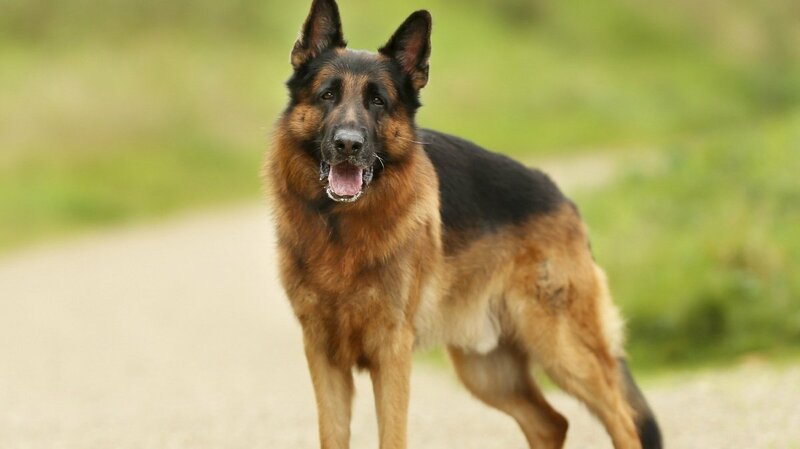 Perhaps the most widespread sign that a breed has become compromised by high rates of inbreeding is reproductive depression (Binns, 2012). This is thought to be the result of the increased proportion of embryos that are homozygous for lethal recessive alleles (Binns, 2012). It is difficult to determine whether such consequences are actually occurring in Thoroughbred horses due the progression of new veterinary reproductive practices, such as utilizing hormones to induce estrus and ovulation, that could conceal any adverse effects of inbreeding (Binns, 2012). As a result of these practices, increases in pregnancy rates have occurred; however, decreases in successful foaling rates (or increases in pregnancy losses) have also been noted (Binns, 2012). These losses are coherent with reproductive depression, although not proven to be caused by it. The Thoroughbred breeding industry has transformed drastically in the past 40 years, with a renewed emphasis aimed at the production of yearlings that will bring as much money as possible at auction, instead of the previous goal of producing superior race horses (Binns, 2012). As a result, a large decline in the number of available breeding stallions available and a large increase in the demand for of foals sired by popular stallions has been seen due to this shift in commercial pressures (Binns, 2012). Almost half a century ago, the average stallion covered a maximum of 40 mares in a single breeding season, compared to many of today’s stallions that may cover nearly 200 mares in a single season (Binns, 2012). These changes lower the breeding population size, limit genetic variation, and result in increased inbreeding over time. Recent studies on the genetics of today’s Thoroughbreds are discovering that these animals are becoming even more genetically similar, a situation that is creating a possibly precarious situation for the breed as a whole (Gibbons, 2014). As a decreasing number of stallions sire an increasing number of foals, some veterinarians are beginning to think that inbreeding is hurting thoroughbred stock. At the same time, difficult times in the racing industry have further reduced the total number of new thoroughbred foals registered each year, from 51,000 foals in the year 1986, down to just 23,000 in 2013 (Gibbons, 2014). These trends work together to synergistically shrink the breed’s gene pool at an increasing rate. The top modern thoroughbred stallions demand stud fees that are dependent upon their speed over the distance of the track, their total racing earnings, and on how well the foals they produce perform (Gibbons, 2014). This system balanced the breed’s speed and durability well up until the 1980s, when the stud fees for stallions like Northern Dancer soared to $1 million, and yearlings began to sell at auction for as much as $13 million (Gibbons, 2014). This appeal to high-dollar horses led to a commercial shift toward a new kind of stallion called “shuttle stallions,” who are flown into other countries for the breeding season to be studded out (Gibbons, 2014). 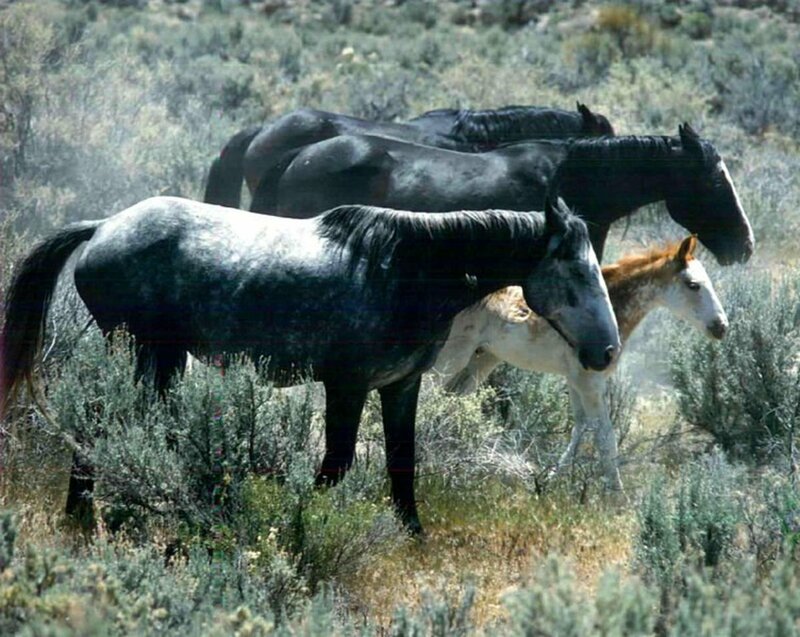 In this way, some shuttle stallions may breed with 300-400 mares per year, a sharp contrast with the up to 40 mares a year most stallions covered 50 years ago (Gibbons, 2014). According to a study in Animal Genetics, this creates a sort of “Genghis Khan” effect, where only a few stallions dominate the gene pool and effectively create a genetic monopoly (Binns, 2012). According to Dr. Carrie Finno, a veterinarian at the University of California, Davis, Thoroughbreds are “so inbred, they're like purebred dogs” (Gibbons, 2014). Dr. Doug Antczak, a veterinary immunologist who specializes in equines at Cornell University, added that, “Thoroughbreds are almost like clones, compared to other breeds” (Gibbons, 2014). According to Finno, the resulting genetic congestion could eventually make the breed vulnerable to emerging infections, and more likely to retain genes that predispose them to certain diseases, fertility problems, physical malformations, and other crippling conditions (Gibbons, 2014). 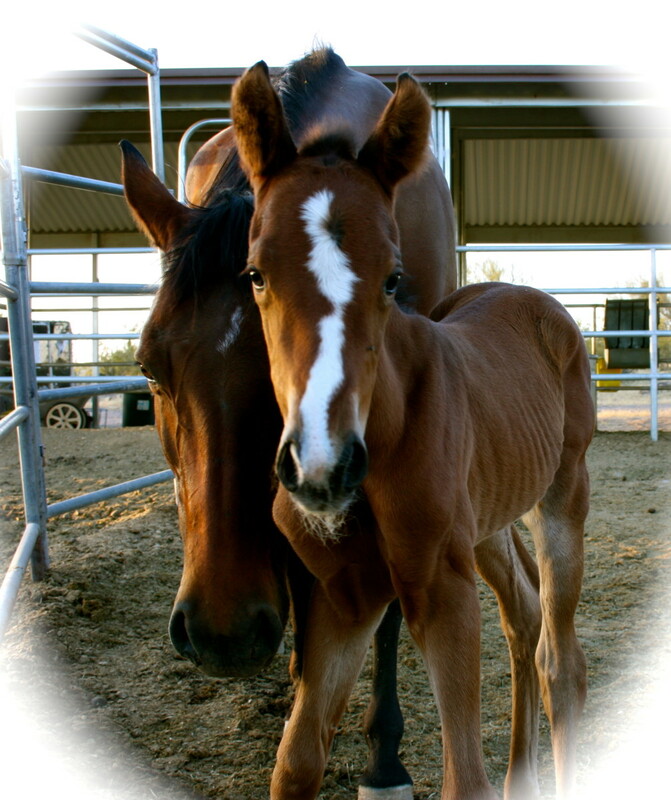 Some researchers reject these concerns, claiming that breeding for performance has prevented these horses from inheriting devastating genetic diseases, since sick or defective animals cannot perform well enough to race, and therefore do not make it into the breeding shed (Gibbons, 2014). Other breeders assert that there are fewer recessive diseases in thoroughbreds than in any other equine breed, but Finno suggests that the funding for research on this topic has not yet been attainable to find the relevant genes. “Everyone knows they're inbred. The question is, what are they going to do about it?” she says (Gibbons, 2014). So what obvious effects of inbreeding, if any, can be seen in modern Thoroughbreds? Today's thoroughbreds are almost two hands (8 inches) taller on average than the original founding Thoroughbreds of the 1750s, have larger muscles balanced on thinner legs, and smaller hooves, resulting in top-heavy animals whose smaller bones have become more likely to break at high speeds (Thiruvenkadan, 2008; Gibbons, 2014). Back in 2006, the Kentucky Derby winner Barbaro, racing in the Preakness Stakes, suffered devastating hind limb fractures during the Preakness Stakes race (Binns, 2012). In spite of costly efforts to save his life, the stallion eventually had to be euthanized from complications and laminitis resulting from the fractures (Binns, 2012). Back in 2008, the promising filly Eight Belles pulled up after placing 2nd in the Kentucky Derby with both front legs fractured, and had to be euthanized immediately on the track (Binns, 2012). These were just two instances of many breakdowns that have occurred on the track, yet these breakdowns of two high-dollar horses so close together, and being witnessed by millions of viewers, prompted headlines in sources such as the Washington Post and the L.A. Times, begging the question as to whether the Thoroughbred breed was being “(in)bred to death” (Binns, 2012). As inbreeding has increased, individual thoroughbreds are starting in significantly fewer races, and retiring significantly earlier as when compared with their ancestors racing 40 years ago, prompting widespread speculation that the breed is becoming increasingly unsound (Binns, 2012, Gibbons, 2014). Resident veterinarian Dr. Jeanne Bowers at Harris Farms in Coalinga, California, where California Chrome was bred and raised, says that she has seen it all- Thoroughbreds who fracture bones at their joints, causing premature arthritis; horses whose lungs hemorrhage when running; horses who “roar” and struggle to breathe when they run due to airway constriction; foals that are born with respiratory ailments (Gibbons, 2014). She also says that from what she has seen, infertility and foal losses due to inbreeding have become a “huge” problem in thoroughbreds (Gibbons, 2014). According to the overall results of the above studies, the Thoroughbred breed has, if moderately, experienced some type of negative repercussions from a continued lineage of inbreeding. With the racing industry in its current state and the profitability of the current breeding practices, breeders have little incentive to make effort to halt their contribution to this growing problem. Up until recently, the genetics of racehorses have not exactly been a customary topic reflected in research laboratories. However, the recent development of new molecular tools could provide new insight to this issue (Bailey, 1998). Breeders around the world have begun to use genetics to test yearlings for a specific “speed gene” discovered several years ago by a team at the University College Dublin and the chairman of Equinome (Gibbons, 2014). This gene is believed to determine variation in muscle development in equines, and can be used to estimate whether a horse will a sprinter or a distance runner (Gibbons, 2014). However, will breeders use this information to breed healthier horses, or just ones that will cross the finish line first? A very informative, easy to read manual that I read during my research for this article to help me better understand the topic. I recommend it to any veterinary professional with an interest in the horse racing industry. What do you think; is the Thoroughbred breed being negatively impacted by high occurrences of inbreeding? Yes, the consequences are clear. No, generations of strict selective breeding have created an increasingly superior breed. Maybe; more research on this matter is needed. Amano, S., Kobayashi, S. (2006). Study on Inbreeding Effects and Racing Periods in Thoroughbred Horse Breeding. Meiji Univ., Kawasaki, Kanagawa (Japan) School of Agriculture. Bokor, A., Jónás, D., Ducro, B., Nagy, I., Bokor, J., Szabari, M. (2013). Pedigree Analysis of the Hungarian Thoroughbred Population. Livestock Science, 151(1): 1-10. Burns, E.M., Enns, R.M., Garrick D.J. (2006). The Effect of Simulated Censored Data on Estimates of Heritability of Longevity in the Thoroughbred Racing Industry. Genetics and Molecular Research, 5(1): 7-15. Gibbons, A. (2014). Racing for Disaster? Science, 344(6189): 1213-1214. Mahon, G.A.T., Cunningham, E.P. (1982). 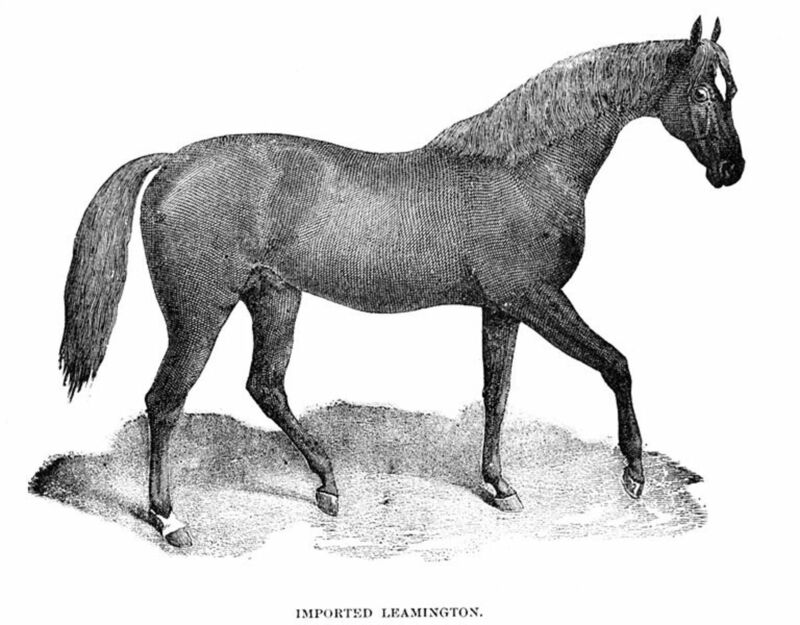 Inbreeding and the Inheritance of Fertility in the Thoroughbred Mare. Livestock Production Science, 9: 743-754. Rukavina, D.; Hasanbašić, D.; Ramić, J.; Zahirović, A.; Ajanović, A.; Beganović, K.; Durmić-Pašić, A.; Kalamujić, B.; Pojskić, N. (2016). Genetic Diversity of Thoroughbred Horse Population from Bosnia and Herzegovina based on 17 Microsatellite Markers. Japanese Journal of Veterinary Research, 64(3): 215-220. Sairanen, J., Nivola, K., Katila, T., Virtala, A.-M. and Ojala, M. (2009). 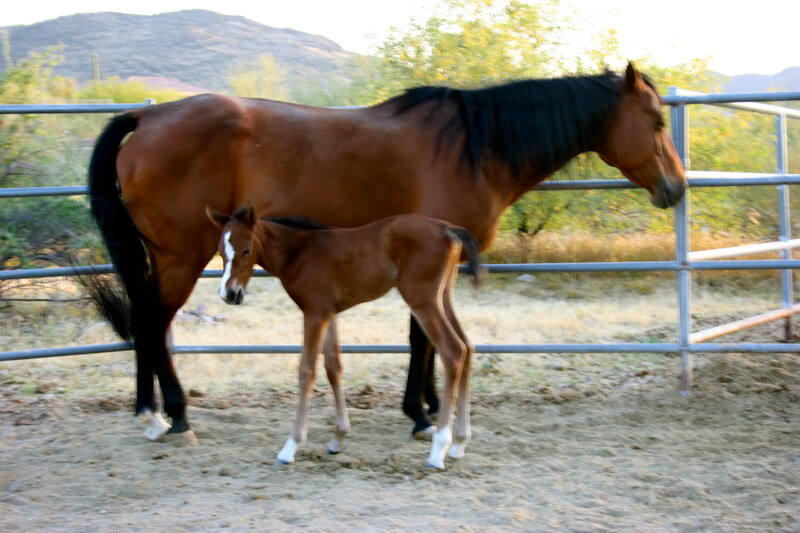 Effects of Inbreeding and Other Genetic Components on Equine Fertility. Animal, 3(12): 1662-1672. doi: 10.1017/S1751731109990553. Thiruvenkadan, A.K., Kandasamy, N., Panneerselvam, S. (2008) Inheritance of Racing Performance of Thoroughbred Horses. Livestock Science, 121(2-3): 308-326. That's a very broad question. Generally (in my area anyway), the average cost of a typical horse itself can average anywhere from $500 to $1,500. Performance and stud horses can sell for tens to hundreds of thousands. The average cost of a TYPICAL horse (including food, hoof care, veterinary care, etc.) can average around $2,000 to $4,000 per year, or around $200 to $400 per month. This all varies upon what type of horse you get, what you use it for, what you feed it, how well you care for it, etc. Performance and breeding horses can cost way more. Thank you for your input. I was honestly completely unaware that inbreeding was an issue with species such as hamsters and chinchillas as well, and I work with these species in practice. You learn something new every day. The main goal of this small "study" wasn't really focused on human involvement itself, hence why it does not go into much detail on that subject, but to essentially determine if there was a correlation between inbreeding coefficients and any recurring health issues within the breed. Clearly its hardly a "yes or no" question and has been the cause of much debate between equine experts for some time now. That being said, I'm glad you brought that up, as human involvement on this issue could be a MASSIVE topic all on its own. In a nutshell, the main reason in which more is not being down to prevent this bottlenecking breeding issue comes down to... you guessed it, MONEY. And a lot of it. Yes, Thoroughbreds are crossed with unrelated other breeds for disciples such as racing, dressage, show jumping, cross country, etc. 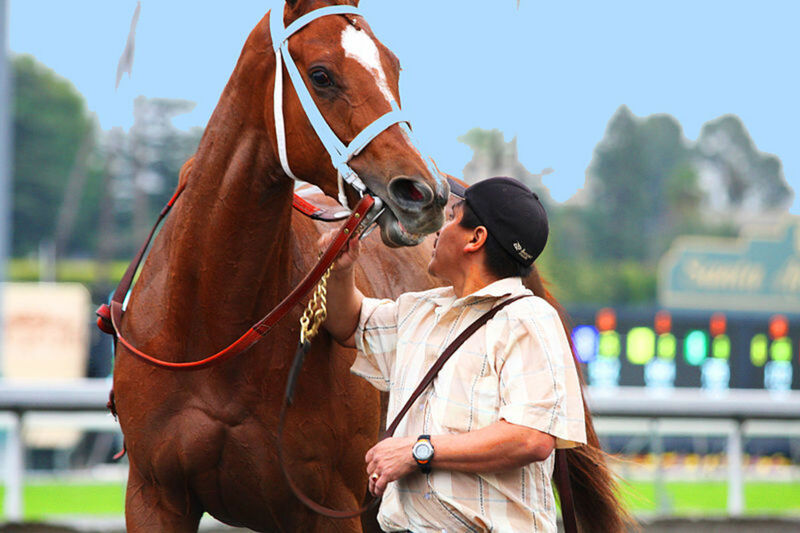 to create superior athletes all the time; racehorses do not necessarily have to be purebred. However, there is a perceived financial gain and extra marketability in having a pure Thoroughbred racer. 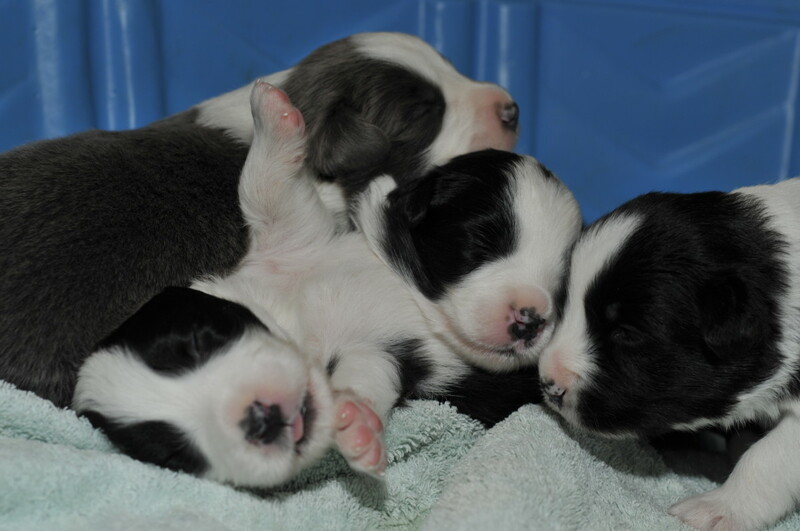 Generally speaking, purebred champions are much more valuable in the breeding shed than those who are mixed breeds. This goes without mentioning breed registries and their standards, which add another layer to the issue. This mentality exists in other domestic species, such as dogs, as well. Of course, these perceived differences in value are all artificial; its all about making the animal more marketable, not necessarily about creating a better performing individual. 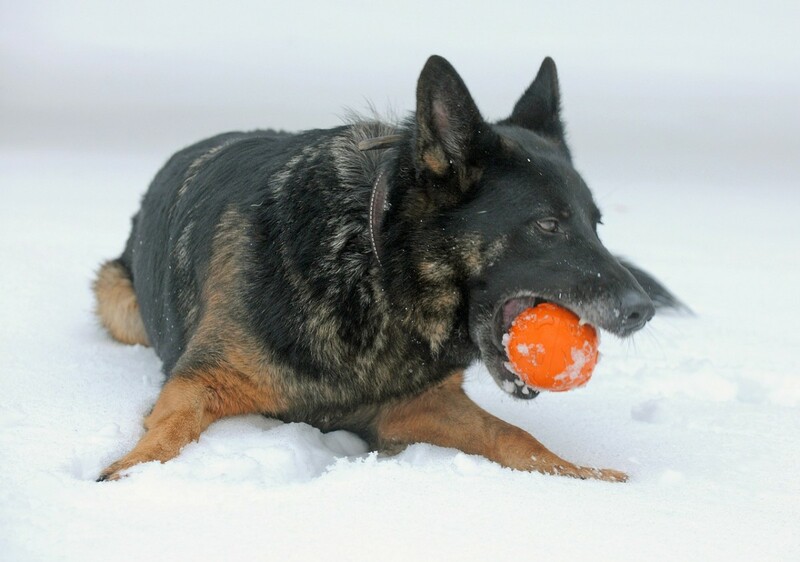 Just because an animal is purebred does not inherently make it a genetically superior specimen to another (for example, look at the overall health issues of mutts vs. purebred dogs). Luckily, some individuals have looked through all the dollar signs to see that this mentality is indeed flawed and creating potentially growing issues for the breed, hence why all of these wonderful studies on the topic exist. Hopefully the results of such studies take root in the minds of current breeders, and maybe we will see this issue begin to decline in our lifetime instead of grow. Hope this helps to answer your questions. Thanks again for reading. Fascinating. I don't know a thing about horses but I know quite a bit about inbreeding and it can be a real quagmire. Most "pure bred" domestic animals suffer from this issue. Chinchillas, as an example, started with only six individuals if I recall right. Syrian hamsters are even worse, all descending from one mother and her pups. It's no wonder they furry little cancer machines. With all that being said you've said remarkably little about the humans involved. Is there anyone working to cross new unrelated blood into the breed? Or at least a reason why that's not being done? Do race horses have to be purebred? I understand breeders are trying to create the fastest horse by crossing to other fast horses but surely someone must see this overly simplistic idea of genetics is flawed and causing problems?? Anyway, very well researched and written article. You're already starting on top! Hope to see you around again. Cheers.